I am very proud of Zevyn! He is a wonderful helper, very lovable, and teaches everyone to be loving & kind. <;– (Our motto @ home) All who know him will agree, he is one of the sweetest boys there is. This quarter, 3rd, he still is very eager to learn. He's like a sponge, soaking up as much as he can. …..and the list goes on and on. Zevyn is doing really well besides needing extra help with site words. He just missed 2 weeks of school, with a horrible flu, but has caught up and is working as hard as ever! 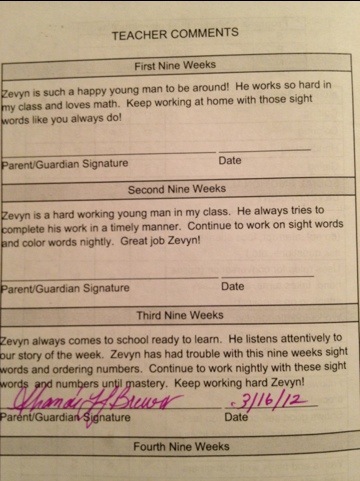 We (I) work very hard with Zevyn each and every night on his school work, or extra learning activities. Too see how well he’s doing and all the compliments he receives from his teacher (among others), makes me one very proud Momma! Love knowing that all the time and energy we put into our children, really DOES pay off! 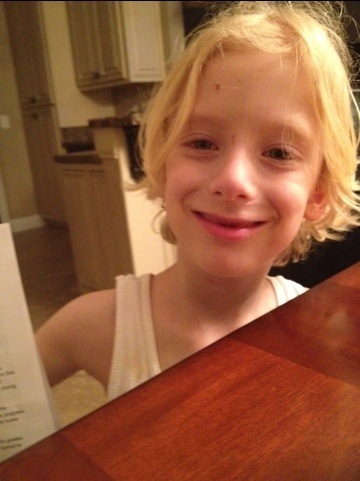 This entry was posted in Parental Supervision, Parents VS Children, School Concerns and tagged School, Zevyn.